The site will soon contain a new homepage with links to ShoeBuy.com. What’s in a name? When it comes to the domain of Shoes.com, ShoeBuy believes plenty of customers to redirect to its site, for starters. “In the coming months, ShoeBuy will enhance the site experience of Shoes.com, consistent with ShoeBuy’s commitment to modernizing how people shop for shoes,” the company noted in its statement announcing the acquisition yesterday. ShoeBuy added that it plans to maximize Shoes.com as the “gold standard of category websites.” Visitors will soon find a new homepage with links to ShoeBuy.com. In late January, Shoes.com, a Canadian firm, shut down operations along with its sister sites SHOEme.com and Onlineshoes.com. The company has since been working to liquidate its assets. The moves are just the latest in a series of acquisitions related to ShoeBuy. First, Walmart acquired Jet.com—for a cool $3 billion—last fall. 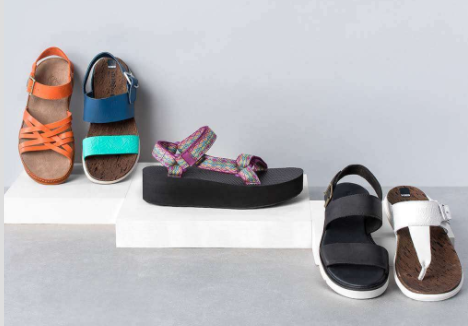 Then, in January, Jet snapped up ShoeBuy from IAC for approximately $70 million. The moves are reportedly all part of the parent company’s efforts to keep pace with rival Amazon. The discount giant has since acquired two more digital retailers, the outdoor apparel and gear site, Moosejaw, and indie apparel site, Modcloth. To be precise, ShoeBuy currently carries more than 800 brands and 1 million-plus styles of footwear for women, men and children, as well as clothing and accessories. CEO Mike Sorabella and ShoeBuy’s 200-plus employees continue to be based in Boston. Jet is based in Hoboken, NJ.